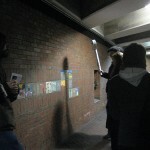 The Davis Square Tiles Project was a Distributed Participatory Public Investigation begun in Somerville, MA in April 2009 as a way to capture gentrification through interviewing participants in a mid-80’s public art project. Part of an occasional series of readers, Vol. 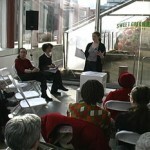 IV explores the idea of community. 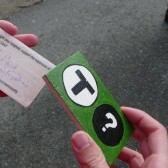 This project was a walking conversation on art, activism, and community vis-à-vis the Green Line Expansion, in which we collectively investigated the proposed public transportation expansion (MBTA Green Line) into Somerville-Medford, MA. 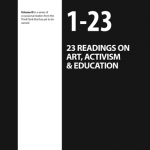 A series of public orations derived from readings of radical literature on art, activism, and education. Part of an occasional series of readers, Vol. 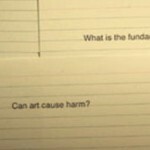 III addresses the relationships between art, activism, and education. 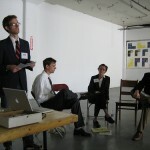 A collaborative montage of typical conference presentation formats in order to interrogate a potential failure in our work: the Insurmountable Dilemma of a Rooted Practice. 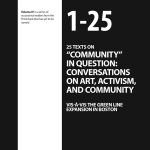 An intervention within a larger community conversation about the problematic use of art as a tool for revitalization and community development. 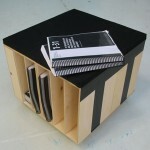 A prototype for a small-scale, mobile bench and library to house The Think Tank’s reader series, which could be deployed in various contexts to support arts education. Part of an occasional series of readers, Vol. 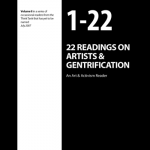 II explores issues related to artists, gentrification, the urban environment, and the so-called creative class. 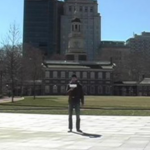 A Public Hearing to gather facts, information and testimony as part of an investigation into the propagation and circulation of the language used to describe the state of Philadelphia and its future.